Masters 1 and 2 in management of the environment and sustainable development, at the University of Nice Sophia-Antipolis. 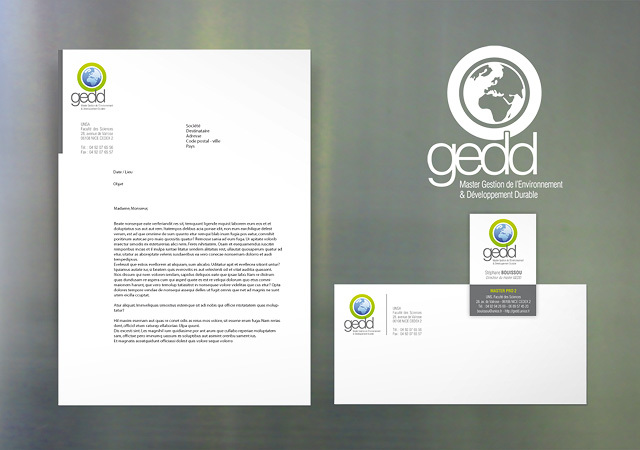 Design and production of a trendy logo applied to all the communication surrounding the Master. 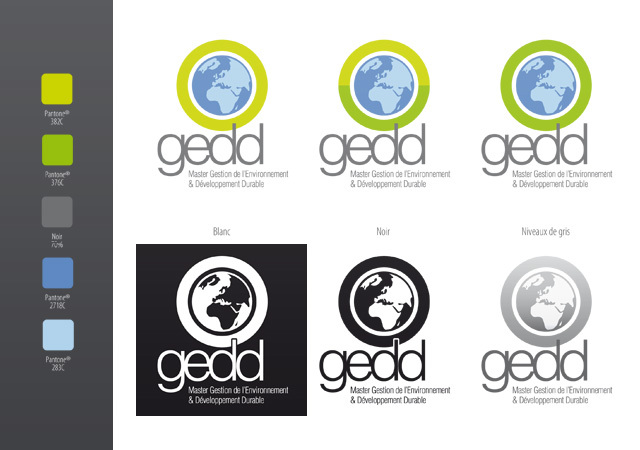 This logo symbolises a circle of “protection” around the earth which reflects the spirit of GEDD and its educational programmes in sustainable development.